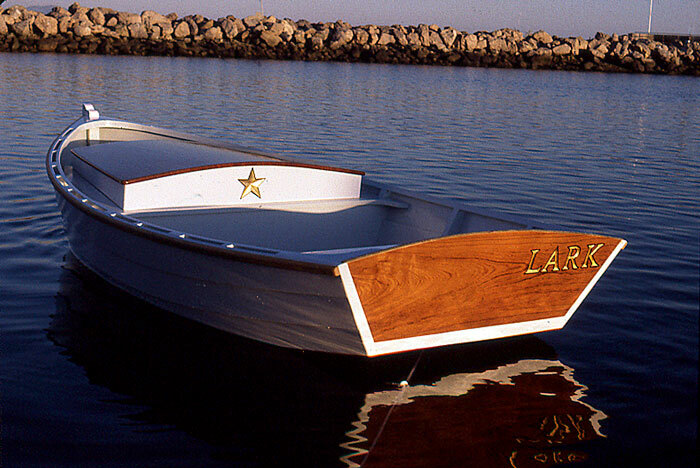 Chris DeFirmian is a woodworker in Santa Barbara, CA who uses his dinghy LARK to transport himself and his tools to jobs about the harbor. LARK is equipped with a center-lifting hatch to keep his tools dry. 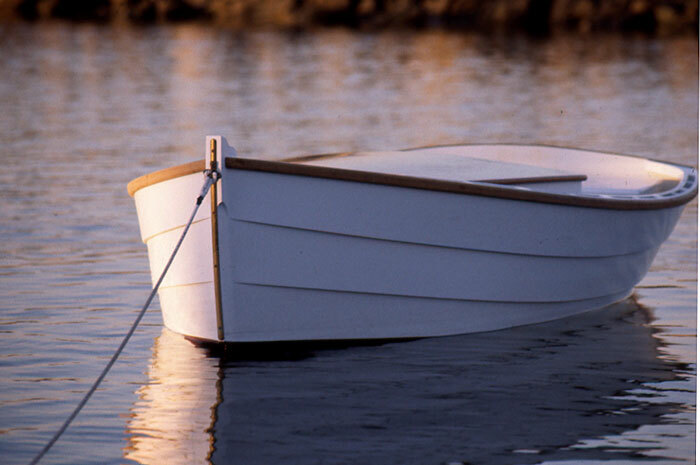 This is design is the result of modifying several other designs to get a boat stable enough for loading and unloading tools. 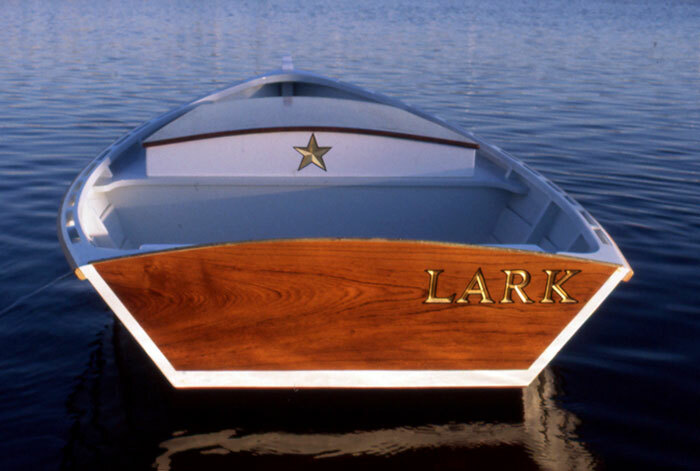 Chris spent every weekend for 4 months building LARK. She is 11' 2" long with a 5'6" beam.